Butterflies in November is a new comic-noir novel set in Iceland. After a day of being dumped - twice - and accidentally killing a goose, the narrator of Auður Ava Olafsdóttir’s second book starts to dream of tropical holidays far away from the chaos of her current life. Instead, she finds her plans wrecked by her best friend's deaf-mute son, who has recently been thrust into her reluctant care. But when a shared lottery ticket nets the two of them over 40 million kroner, she and the boy head off on a road trip across Iceland, taking in cucumber-farming hotels, dead sheep, and several of her exes desperate for another chance. Olafsdóttir has been telling Jordan Ogg more about her book, the literary scene in Iceland and how to brew a perfect pot of the native meat soup. JO: The road trip is a recurring theme in American popular culture, particularly so with cinema. What gave you the idea to relocate the genre to Iceland? And what is it about the country that you think lends itself to the format? AAO: A journey in a novel usually stands for self-realization. Going away means to discover something about yourself you didn't know before. Butterflies in November is, in that sense, a coming-of-age story. Also, it seems that the theme of going away - to be able to return back - is especially important to authors born on islands. The body plays an important role in the story and there is a connection between the human body and the body of an island, between the female nature and the nature of an island. The advantage of driving around a ring road is that you end up at square one again. However it is very unusual to take summer holiday and travel around Iceland in November like my heroine does, since the arctic day is so short and dark. But the story is about what is not usual. I felt the book had a certain cinematic quality, in that you manage to evoke a sense of place very quickly when switching between scenes, and the action itself is fast-paced. How far would you agree? Are you a fan of cinema? Yes you are right that I probably have a visual way of writing. We call it "poetic style" in Iceland. With each book there comes a special music of text which also means that each translator has to find a relevant music in his own language. And yes, I am a fan of cinema and identify myself with a character in my former novel, The Greenhouse, who is a monk and a cinephile and watches everything except Hollywood films. The only problem is that you don´t have much opportunity to see good films in Reykjavik where I live, except when there are film festivals twice a year. But I used to live in Paris when I was a student and often went to cinema three or four times a week. The film rights to the novel have been bought and a production is planned in English with an international cast. How do you feel about your novel being re-imagined on the big screen? Is it easy to let go? Honestly, it wasn't easy to let go. Not because I wanted the film to be true to the book, on the contrary; I would like the film to be an independent work of art. Since so many bad films have been made after good books I might also have been afraid that if it turned out to be a really good film people might think it was a bad book. An article on the BBC website recently claimed that one out of ten people in Iceland will publish a book. How true is this? Not very true. Let us see. [There are 321,857 Icelanders] ...That would make approximately 32,185 writers. It is probably a misunderstanding. But it could be the number of people that would not be against the idea of writing a book, given time and ideas, at some point in their life, let's say for example about knitting or cooking or a crime novel. I believe it would be the same percentage of people in England. I would guess there are around 300 members in the Icelandic writers union (including translators) and at least a handful of really good writers in Iceland – of both sexes. We only share one thing in common and that is writing in a language that nobody understands. As a female writer, is it harder or easier to get noticed in this scene or is there no difference? I don't think there is any difference. Personally I am grateful that people read my books but as a writer living in a small community I would very much like to pass unnoticed, even invisible. You've invited The Island Review round for dinner. You're going to cook us a recipe from the novel. Which one would you choose and why? I would probably not cook you the goose that was run over by my heroine and afterwards prepared as a goodbye meal for her husband who was leaving her for another woman ... I think I would make Icelandic meat soup (Kjotsúpa in Icelandic) because at this very moment it is cold outside. As a desert I would make you a cacao soup with whipped cream that you can find in some of my novels. You also work as an art history lecturer and curator. Can you share with us your favourite Icelandic artist or artwork? I could name many artists like The Icelandic Love Corporation that is a group of three women artists working mainly in performance, video and installation. Olof Nordal is another female visual artist exploring the folkloric traditions as well as those scientific. And I could also name the painter Georg Gudni Hauksson who passed away much too early two years ago and painted landscape as no one else in the world did. He said of his paintings that it took him a long time to make them grow towards simplicity. I just finished writing my third play called Swans, Mate for Life, which will be put on stage by the National Theater of Iceland in February 2014. I have already started writing two more plays and a new novel is beginning to take shape in my head. It should be noted that the contents of this soup will vary according to whether it is made in the summer or winter and the availability of vegetables in any given place or time. 1–2 onions or one leek. Celery can also be used (both stalk and leaves), fresh spinach, garden dock, green cabbage, broccoli and whatever other vegetable happens to be handy in each case. Rinse the meat, cut it into rather small pieces and put it into a pot. Cover with water, salt it, close the lid and boil for 15 minutes. Lift the lid and skim off the froth. Add water to the pot and then the various vegetables, according to the cooking time of each one. Be careful not to overcook the vegetables. Boil it all together until it fuses. It is good to throw some thyme into the soup and some chopped mint, which grows wild in many parts of Iceland and is particularly good with lamb, since it reduces that farm shed taste. Butterflies in November by Audur Ava Olafsdottir is published by Pushkin Press. Auður Ava Olafsdóttir was born in Iceland in 1958, studied art history in Paris and has lectured in History of Art at the University of Iceland. 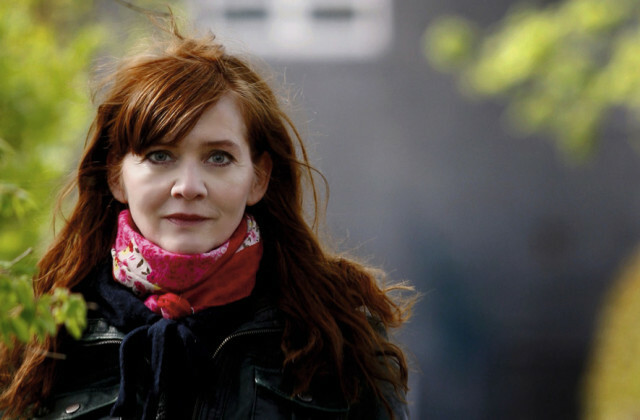 Her earlier novel, The Greenhouse (2007), won the DV Culture Award for literature and was nominated for the Nordic Council Literature Award. She currently lives and works in Reykjavik. Author photograph by Anton Brink.